Today, we have a plethora of naturally curly hair products available to us. However, every curly is made differently--some of us cannot use certain popular products because of their ingredients. There are several constituents in products--such as nuts, latex, or fragrances--that cause allergies, but thankfully, today there are easily accessible alternatives that will give you similar results. Here are four substitutions to popular ingredients found in hair products that will still give your mane all the required TLC. If you have a latex allergy, cupuacu butter is a great substitute for shea butter, and since it derives from the seeds of the cupuacu tree, it is also nut free. Cupuacu butter works similarly as shea butter, acting as a sealant, strengthener, and shine restorer. Cupuacu butter is recommended for those with weak and damaged hair in need of vitamins, minerals and proteins. Another great factor is its natural SPF content; if you are getting more than enough Vitamin D in your life, cupuacu butter is your go-to as a hair and skin sunscreen. I personally recommend trying Carol's Daughter Cupuaçu Anti-Frizz Smoothing Shampoo that is particularly popular for aiding in frizz-free curls--even on colored hair. Grapeseed oil is an amazing alternative to many people’s favorite: coconut oil. You may even find that you prefer all of grapeseed oil's benefits over coconut oil. Grapeseed oil has a high amount of omega-6 fatty acids, giving your hair and scalp more than enough moisture and shine. This oil is light enough to use on fine and brittle hair and will aid in the growth of your hair. Plus, it is less expensive than coconut oil! 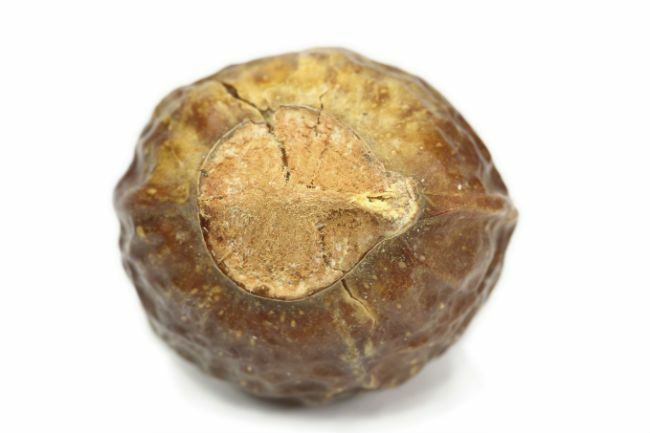 Soap nuts are the best replacement for naturals with nut allergies because they are basically dried fruit with the same antibacterial and antifungal properties. If you experience hair loss and dandruff, soap nuts act as a natural shampoo because it won't strip your hair of its natural oils. Shampooing a bit more often is not an issue! Trader Joe's carries a nut and sulfate free conditioner with soy protein for added shine and strength to your strands. If you haven't heard about the hype yet, try the Trader Joe's Tea Tree Tingle Conditioner with Peppermint and Eucalyptus. Do you have an allergy to a common hair ingredient? Share your product suggestions below and on the NaturallyCurly Facebook page.